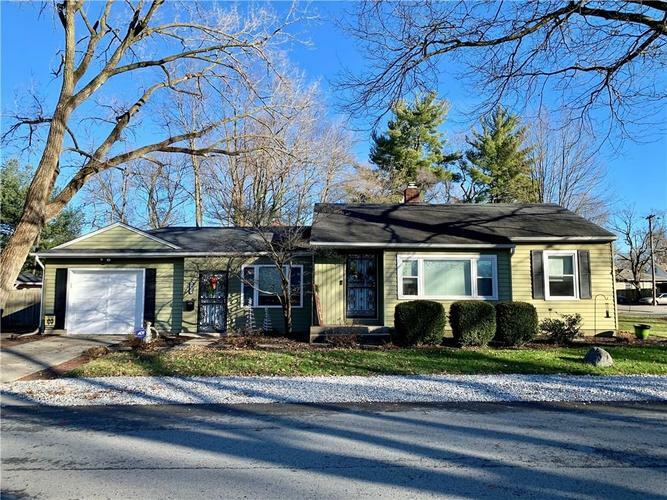 Welcome home to this adorable ranch style home on beautiful corner lot on a quiet street in Broadripple. You'll love the renovated kitchen with stainless steel appliances including a gas stove; granite counter tops and glass tile backsplash. Relax in the sunken family room with built-in entertainment center and cozy fireplace. Crown molding and original hardwood floors give character to the layout, and you'll have even more entertaining room in the dry basement or outside in the spacious yard! Formal Living Room is currently being used as a spacious dining room, smaller table will fit in breakfast room/dining area off the family room. Directions:West on Kessler from Keystone. Brouse is first street west of Keystone. House on east side of 58th and Brouse.